Paul McCartney's recent illness has forced him to miss another performance, this time in South Korea. The former Beatles canceled the May 28 show due to the virus-caused illness that forced him to call off his entire Japan tour, organizers said Wednesday. 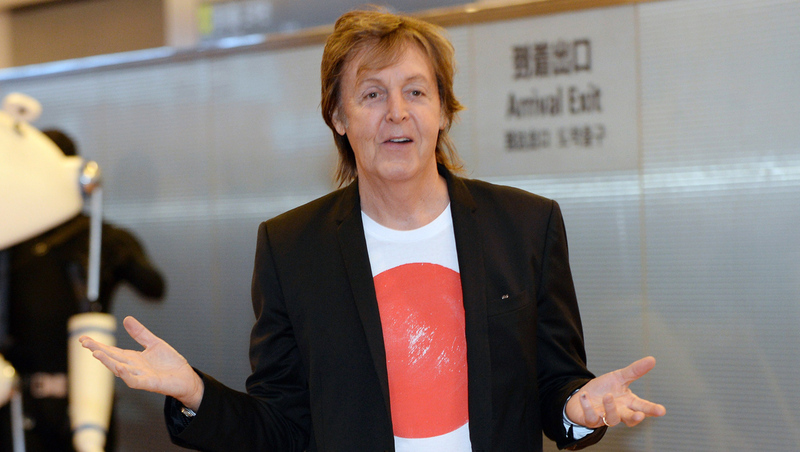 McCartney, who turns 72 next month, had planned to hold concerts in Japan and South Korea as part of his world tour. "I was really looking forward to visiting and playing in South Korea for the first time and I'm sorry to be letting fans down," McCartney was quoted as saying in a statement released by Seoul-based Hyundai Card Co. Ltd., an organizer for his South Korea concert. "I'm very disappointed by this and hope to be able to visit soon." The statement said that "Paul is still not feeling better and this cancellation is unavoidable." Organizers said McCartney's side didn't give them details about his illness. Hyundai Card officials said they would offer a refund on the tickets, which range from about $55 to $290. McCartney was scheduled to perform at a stadium in Seoul. It would have been his first concert in South Korea. His illness caused him to miss his four scheduled concerts in Japan, including two in Tokyo this past weekend. "Paul has only ever had to reschedule a handful of shows in his entire career and is so upset about this situation, he hates to let people down," a message on his website said. McCartney is scheduled next month to take his act to the U.S., where he will hit several venues over a two-month span.